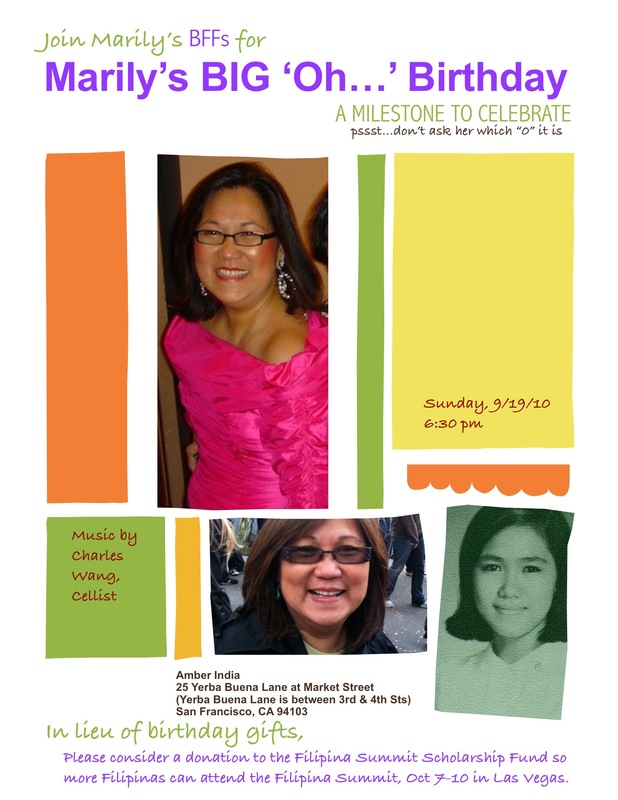 Filipina Women's Network - Marily's Big "Oh..." Birthday! YES! I will be there with my gift donation to the Filipina Summit Scholarship Fund.